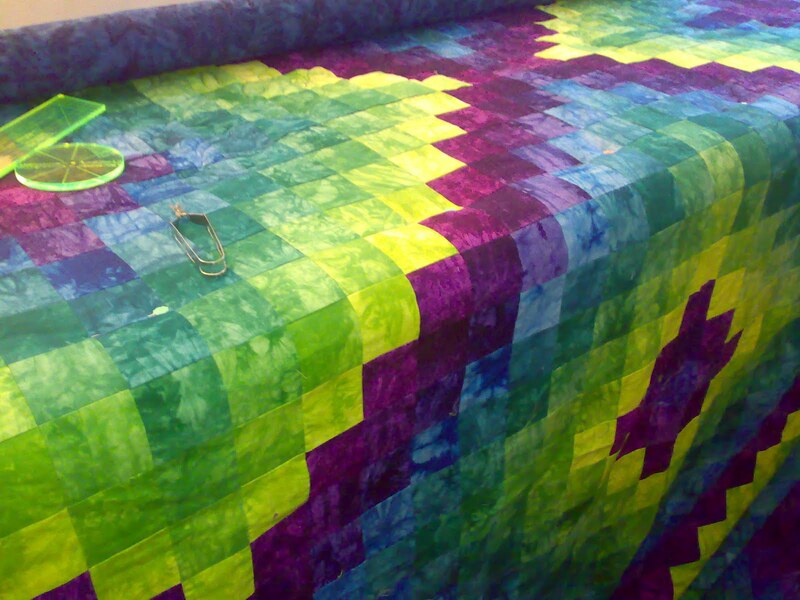 Some of you will probably remember this quilt. It was my first van project. 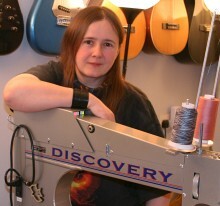 It took almost a year for me to make the top, but I did only work on it in the van and only on the hand cranked sewing machine. 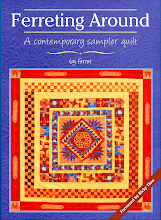 It is another kit from Starr Designs, but then you could probably have guessed that from the colours, aren't they amazing. 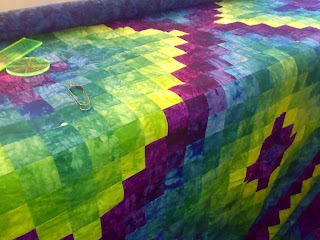 The quilt top was completed last year at the drag strip. I felt that was fitting as that was also where I started it and I displayed the quilt on the car. Then it waited. 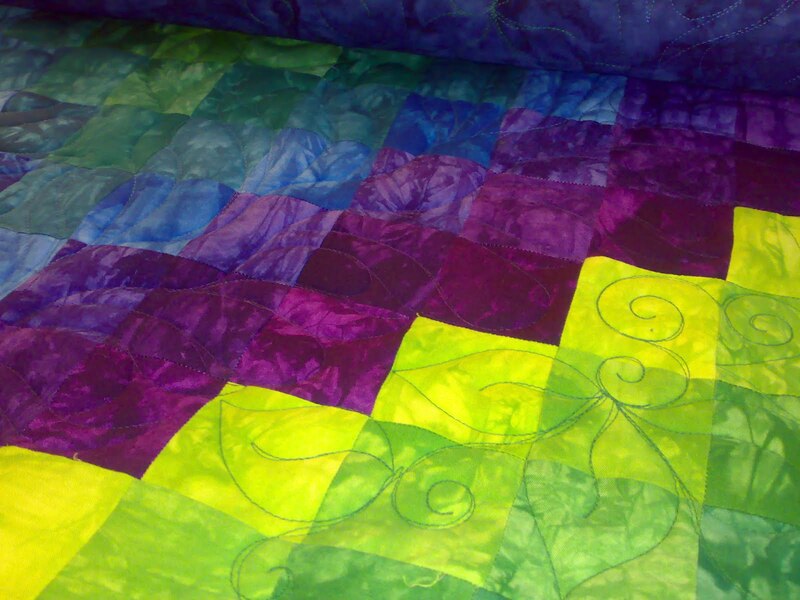 I take the view that I have to do customer quilts before my own and I've had a steady stream of them coming in. 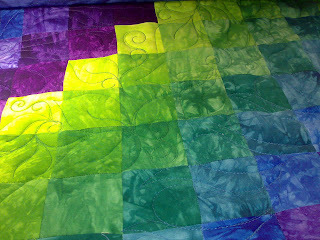 Now I've cleared most of them and I am not working at Patchwork Corner for a couple of weeks I've had a chance to get it quilted. 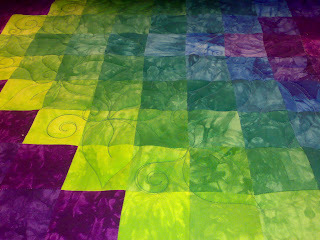 As I said yesterday I decided to have wool wadding in this quilt. There are two layers to make it really warm and to give good definition to the quilting. 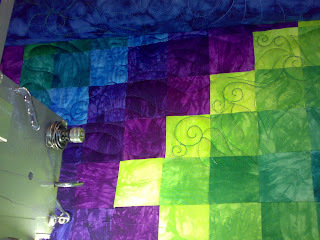 Oddly while it is really obvious in real life in photos you can hardly see the quilting let alone how puffy the wadding is. Sorry but I am going to give this up now. Blogger has become really difficult to use and I can't get it to let me move the images around and I am struggling to get it to let me add text. I'll make sure I write the next post completely on my phone. Which wool wadding are you using? I like the effect. Two layers would be too hot for us though. Love what your doing on this quilt. I also like to use 2 waddings (or as we call them battings)!